Something was different on this Wednesday in November in a place where budding and seasoned engineers from all over the world normally sit in order to thoroughly investigate CANoe, CANalyzer & Co. The ladies and gentlemen participating in the two Vector Academy Workshops were young: strikingly young. And merry giggling penetrated the seminar room doors more frequently than usual. What had happened? 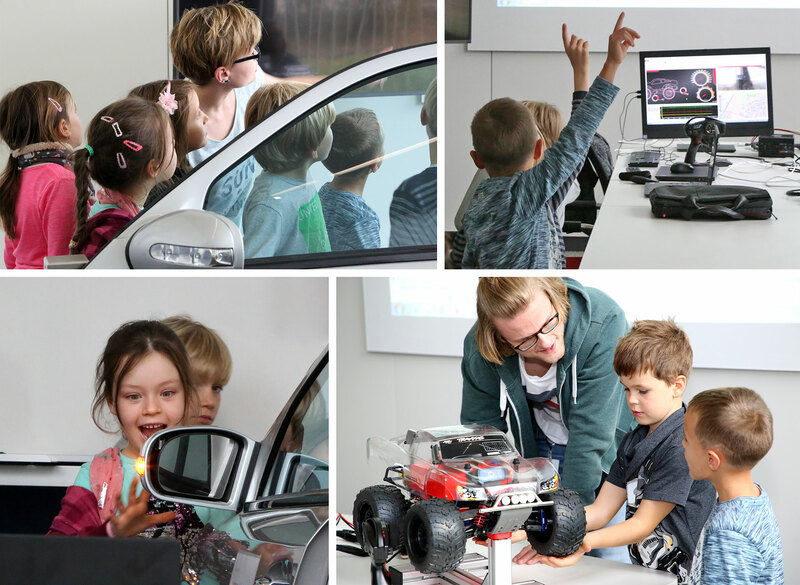 Well, very simply: Thirty-five inventors and researchers from the Reisach school in Stuttgart-Weilimdorf and the Stuttgart Engineering Park elementary school bombarded our trainers, Dana and Hagen, with questions. How does a turn signal know when it should flash? How does the car door know it needs to lock itself? And are tomorrow’s cars really computers on four wheels and why, actually? The bright, extremely demanding audience didn’t let up, wanted to know many things in great detail and, most especially, also try things for themselves. The reason for the whole affair was the annual Inventor and Researcher Day organized by the element-i educational foundation. It allows girls and boys from childcare centers and schools to experience, explore, understand and try out technology and natural sciences on location at businesses and research facilities. Inspiring children in this regard and kindling their curiosity about technology so it lasts over the years is the reason Vector participated for the first time. And, since curiosity and passion for technology is also what drives many Vectorians, it won’t be the last time. More about CANoe, CANalyzer & Co.